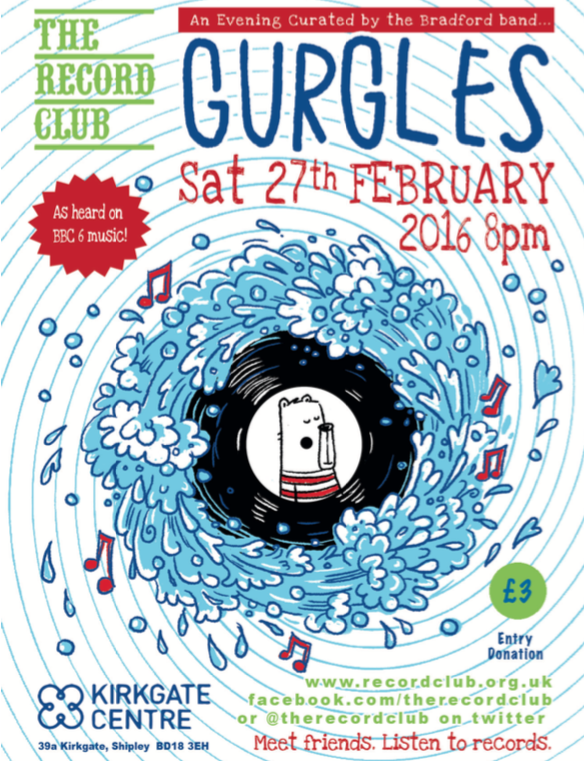 For our next event we are delighted to welcome Bradford-based band Gurgles as hosts for the evening. They will be choosing the records they love and that have influenced their own, unique sound. We’re also hoping that the band will join us for our March edition of the Record Club radio show on BCB Radio.